For thousands of couples dealing with infertility, turning to IVF, or in vitro fertilization, promises to restore the hope of becoming parents. While the success of IVF is an often discussed topic of conversation, the failure rate is rarely put in the spotlight. The fact is, IVF does not work all the time. In fact, IVF failure rates for women under 35 succeed less than 40 percent of the time for a single IVF attempt. This translates into many broken hearts and dollars spent. When a couple is left with nothing to show for all the time, effort and desire for a baby of their own, they may feel emotions that nobody ever mentioned. It may feel like a loss, rather than a failure, and grief is not uncommon. Add to that stress and financial strain, and a failed IVF treatment can lead to serious psychological upsets. The first thing to realize is that you are not alone on this roller coaster. It is an experience shared by thousands of couples, and most are not successful the first time. It is quite common for success to require multiple attempts. When IVF fails, though, it feels very lonely, and it may seem as if you lost a child that you already loved. It is critical to turn to your partner in this difficult moment. Share your thoughts and be honest about your feelings with each other. Shutting down only serves to create strife during a time when unity is vital. It is okay to not be okay. Women preparing for IVF are given powerful hormones to prepare their body for egg retrieval, and after that, more hormones to prepare for implantation. It is no wonder women are often emotional and temperamental. Drugs used for retrieval of eggs can cause severe side effects including hot flashes, headaches, nausea, blurred vision, mood swings and sore breasts. While most of the effects cannot be entirely avoided, they can be handled better when you talk to the physician about them, share them with your partner and look for natural, safe ways to reduce them. 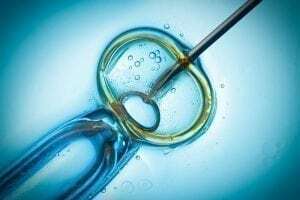 Emotional fallout occurs for most couples after IVF treatment fails. Studies have shown that for women diagnosed with infertility, they experience stress at the same level as someone diagnosed with cancer or high blood pressure. When the man is the partner diagnosed with infertility, they experience shame, low opinion of themselves and may become depressed as a result. Clearly, infertility and the treatments that follow take a heavy toll on those struggling to cope with them. Many fertility clinics seeing the emotional turmoil of their patients went about establishing support groups for couples struggling with failure. Often, a weight is lifted when couples are allowed to open up honestly with others traveling the same heartbreaking path. Ahead of initiating IVF treatments, many lingering consequences can be minimized by laying out a plan. Decide how much money you can invest in the process. Discuss how many attempts you can both financially and psychologically afford to undergo. If you fail to successfully conceive by the time you reach your agreed upon deadline, have a plan for what comes after IVF, such as adoption or deciding to give up on having a child. Above all, never neglect your existing family while attempting to add to it. If you have other children, they need to know you love them and they are valuable to you. When a child sees his or her parents so wrapped up in trying to have another child, they may wonder why they are not enough for you. Do not become so involved in having a baby that you fail to stay involved with the child or children you already have. If your family consists of just you and your partner, you should recognize the two of you are a family, and your family is just as valid as any other, with or without children. Keeping these things in mind can help a couple navigate the often heartbreaking world of infertility and IVF. Superovulation Treatment: An Option for Those with Infertility?